Aloha, thank you for your interest in our Weekly Support Group. Our Support Group Facilitator, Linda, is out of the office from July 16th-27th. 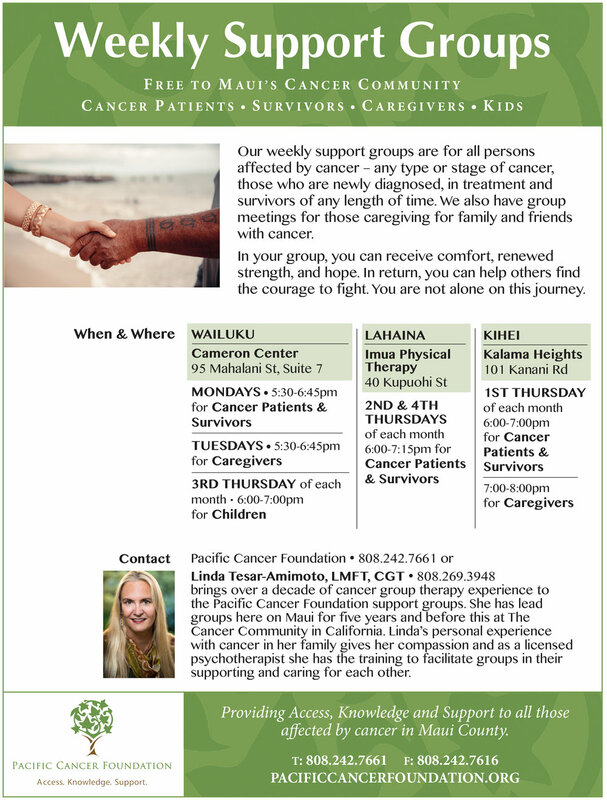 The next Caregiver Support Group in Wailuku will be held on July 31st. If you have any questions or concerns, please call our Patient Navigator at 808-243-2999.